Chris Christie In Talks To Join CNN Or MSNBC - Joe.My.God. New Jersey Gov. Chris Christie’s possible career as a sports broadcaster may not have panned out, but he might still have a shot at a television gig. Christie has had conversations with both MSNBC and CNN about possible contributor deals after his term ends, according to three sources with knowledge of the talks. “Yes. They are talking about a possible deal,” an NBC source said. An NBC spokesperson declined to comment. CNN declined to comment. 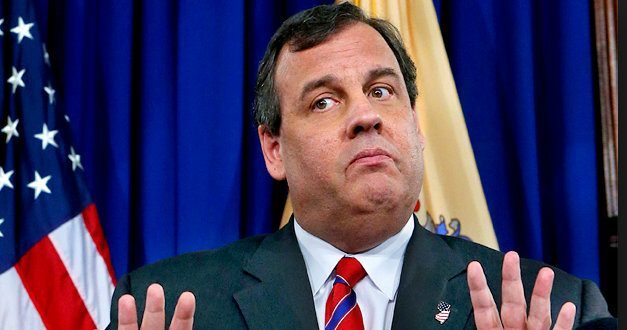 Christie is not in talks with Fox News, a separate source with knowledge of the situation said. Christie already tried his hand at another media gig — sports radio host. Christie auditioned as the replacement for afternoon WFAN host Mike Francesa. But last month the New York Daily News reported Christie was no longer under consideration by WFAN, though Christie later said that it was he who declined the job. CNN reports AND declines to comment?